Join us for the annual tradition! 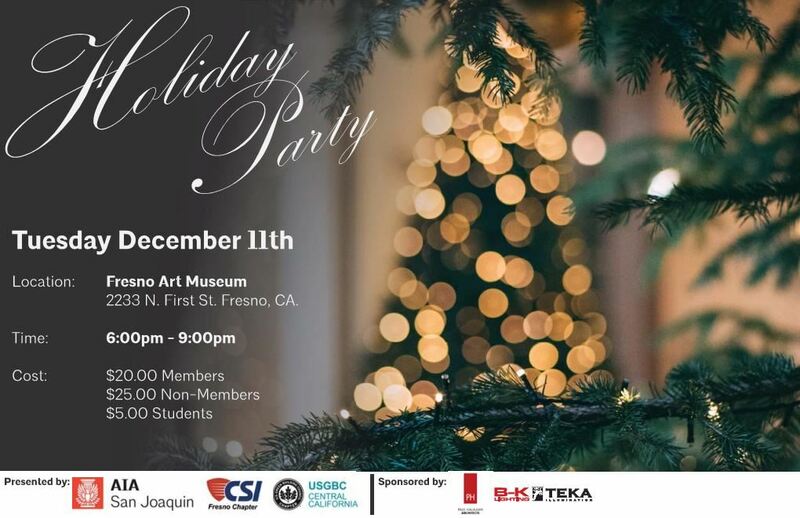 USGBC Central California, the American Institute of Architects, San Joaquin Chapter (AIASJ), and CSI Fresno will be hosting this year’s Annual Building Industry Party. This annual event is an opportunity for building industry professionals to meet, exchange knowledge and experiences within their industries. It’s also a wonderful tradition in our community as a chance to relax and have some fun!! This event brings together local non-profits representing building, design and construction industry professional organizations, as well as offers an amazing opportunity to generate business and new networking connections in our local community. © Copyright 2015 by U.S. Green Build Council - Central California. All Rights Reserved.